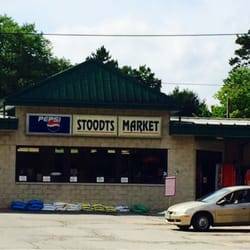 BELLVILLE – Offerings for services to people in the area have been expanded at Stoodt’s Market in Bellville and Main Street Market in Lexington. People can now go online and select from three options for help buying groceries and associated items. People can order and pick up items in stores. Or, they can arrange for curbside pickup. Delivery services also are available. Jason Potes, owner of the stores, said sometimes — in colder weather — people have difficulty getting out to get groceries. Now, people can go to the site for either store and decide what items they want. Potential purchases are listed by designations that include seasonal, bakery, deli, dairy, babies, breakfast, beverages, pasta and frozen. The site, put together by Cline, a design firm, asks that people register to use the services. The site also lists “today’s specials.” Photographs are posted so that people can recognize a product if they are seeking a certain label. He said about 60 people had used the service after it was started. Some people don’t have or use computers. But Potes said the idea is that someone in the family who is younger could help older persons. “In this day and age e-commerce is here to stay and rather than sit on the sidelines we have invested in providing the ability for customers in Richland, Knox, Ashland, Crawford and Morrow counties to shop for groceries online,” said Potes. This makes it possible, Potes said, to have things “delivered to their door on their schedule at no or very little additional costs to their wallets.” “Out timing in rolling this service out is perfect as we enter the winter months,” he said.